Seattle is one of those places that I love to visit to get away from the city life. I know, I know, Seattle is a huge city, but in just a short drive, you’re in nature. My best friend (MW) just completed her finals for the quarter and her birthday was just around the corner; it was inevitable to visit Seattle and celebrate. My brother lives in Seattle but has work so I roamed for a bit until he got home. 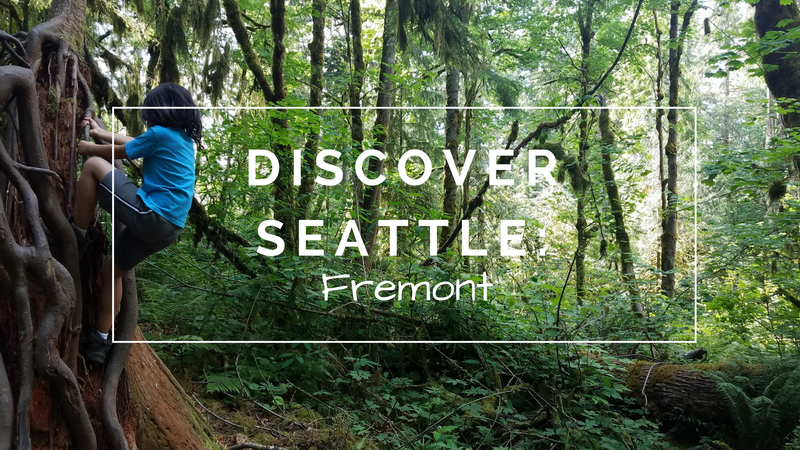 I’ve been to Seattle more times than I could count but I’ve never visited Fremont. My brother advised me to visit the city to find the hidden troll underneath the bridge. We first stopped at Paseo Caribbean Food for lunch. Paseo Caribbean Food is a small restaurants known for their incredible sandwiches. My BFF ordered the popular sub, the Caribbean Roast, which includes roasted pulled pork shoulder, aioli, cilantro, romaine, jalapeños, & caramelized onions. 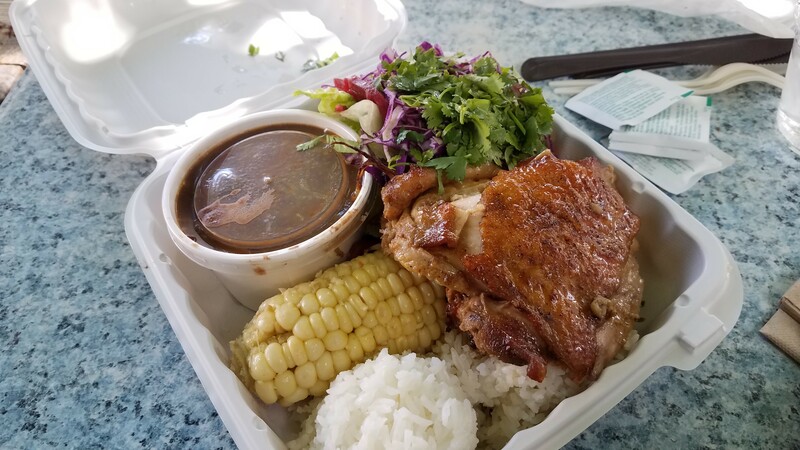 I ordered the caribbean plato, a plate with a choice of roasted pork or chicken thigh, served over jasmine rice, w/ a side of Paseo Greens, ½ buttered corn and black beans. I ordered the chicken thigh. I still have dreams of my Caribbean Food experience in Toronto. The food was delicious but nothing compares to Under The Table Restaurant in Toronto (but I read that the restaurant is permanently closed. So much sadness). After lunch, we walked to find the large troll under the Aurora Bridge. It was a quick 10/15 minute walk to the bridge. 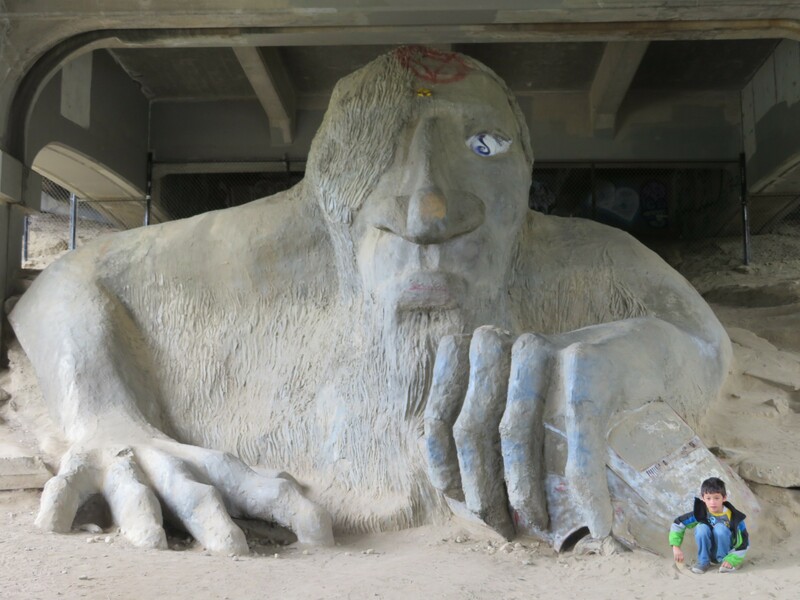 There were a few tourists snapping photos of the troll. I tried to climb the troll before heading back for dessert. For some reason, I was craving pie. It’s not normal for me. We stopped by a shop simply called “Pie“. They had bite size pies and individual size pie. Their sweet pies can be delivered within minutes but their savory pies takes about 30 minutes to cook. My best friend and I ordered the key lime pie, the strawberry rhubarb pie, and 2 mini bite size pies. We did the strawberry rhubarb pie al la mode style and oh my goodness, typing this is making my mouth water. The key lime pie was also delicious. 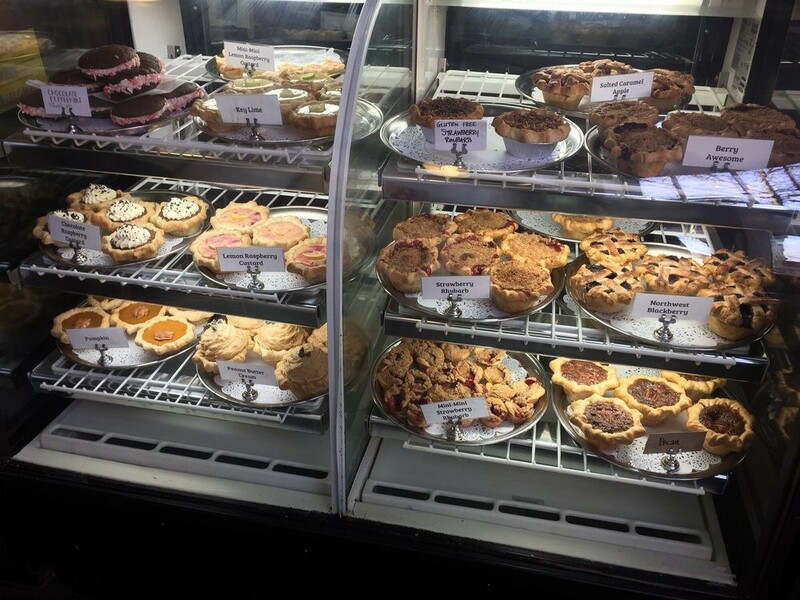 I would go back to Seattle just for the pies! My best friend and I didn’t intend on doing much the rest of the day but decided to make an impromtu trip to Snoqualmie Falls. 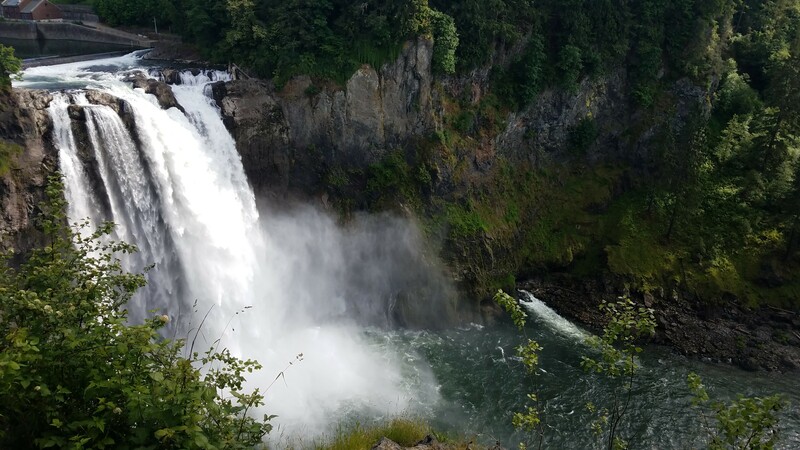 Snoqualmie Falls was a 45 minute drive from Seattle. We were happy that even though it was evening time, there was plenty of daylight. Snoqualmie Falls closes at dawn. 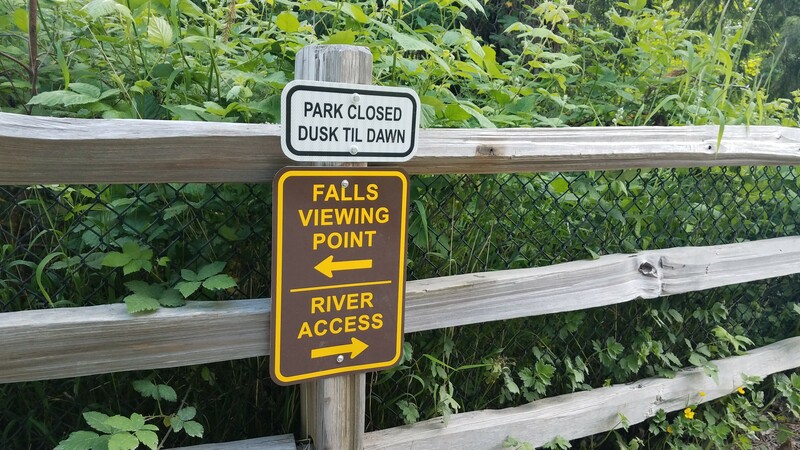 Snoqualmie Falls offers free parking across the street. Take the overpass over the highway. It is very dangerous to jaywalk across the street. If you park at the lot next to the falls, it will cost you $7. 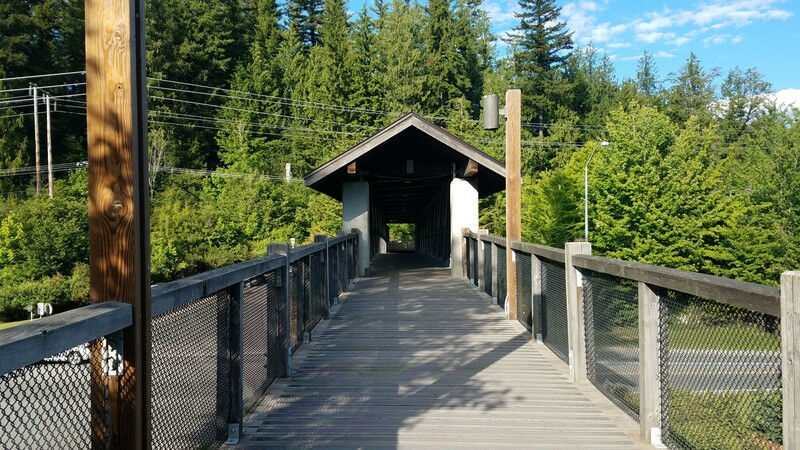 Once you enter to the Snoqualmie Falls entrance, you are greeted by the falls. From there, there are several trails. 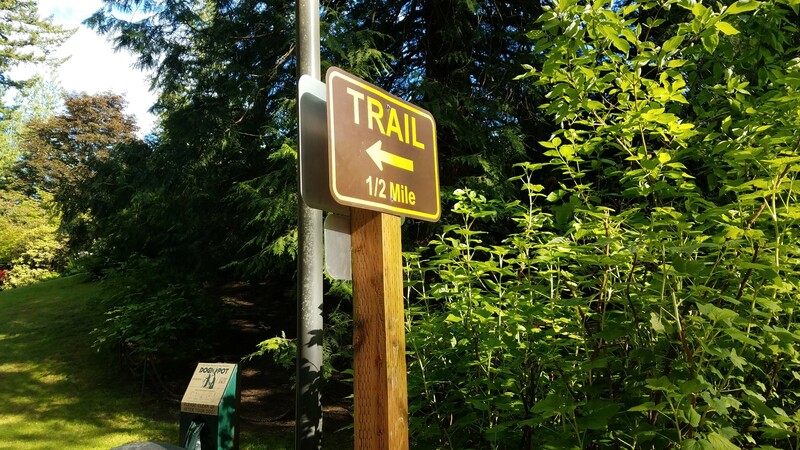 The main trail is only a half a mile hike down. 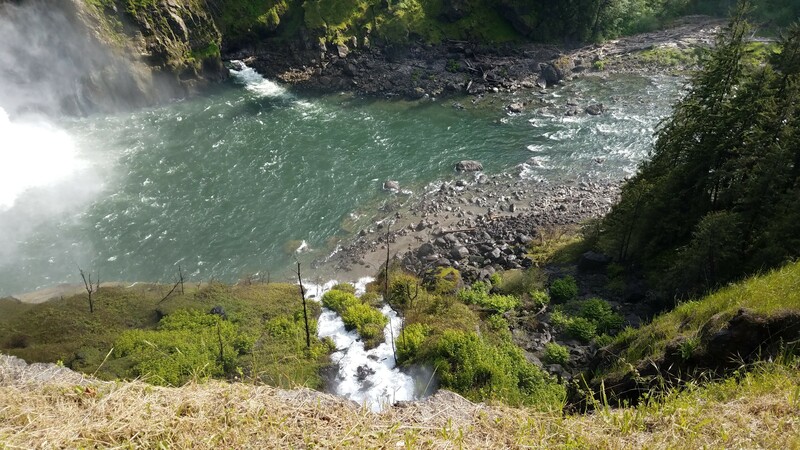 From there you can either go left for a view of the Snoqualmie Falls or go right for the river. 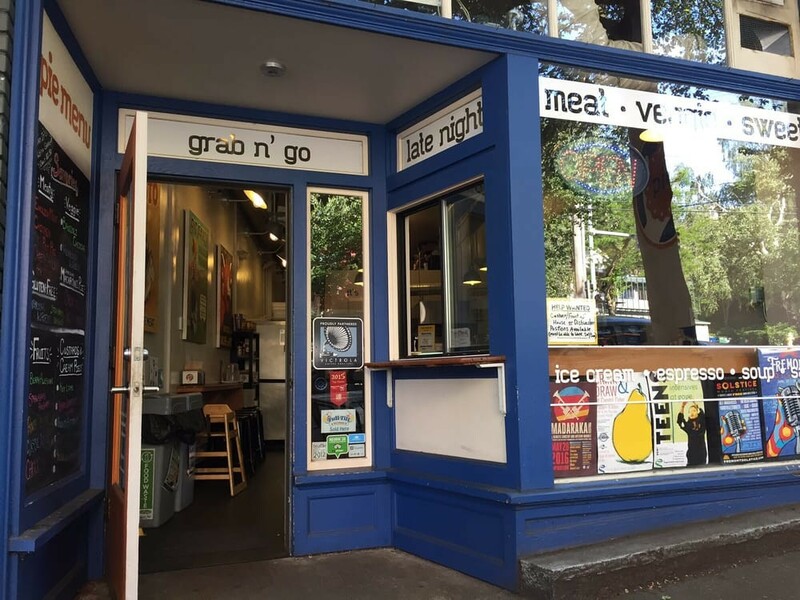 Absolutely a must on the list when visiting Seattle. My brother was on his way back from work so we headed back to his place near Columbia City. My childhood friend, SE was flying in later and decided to hold off on dinner until than. We had dinner at Tutta Bella Neapolitan Pizzeria in Columbia City. Tutta Bella Neapolitan Pizzeria is a fantastic pizzaria. 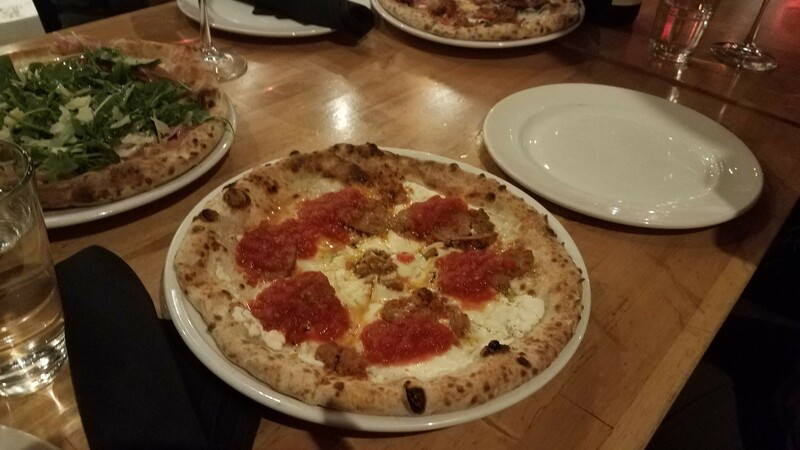 They import all their ingredients from Italy and have several locations throughout Seattle. It was happy hour so pizzas were only $8. We ordered 3 pizzas and a pasta dish. The pizzas were fresh and tasty. I would probably avoid ordering the pasta dish for next time. We also ordered a bottle of their champagne to toast Happy Birthday to MW. The champagne was crispy with a hint of strawberry taste. It was surprisingly refreshing. I could have a few more glasses of it. It just hit passed midnight so we decided to hit one more bar before calling a night. There were several bars down the strip but a lot of the bars have a cover charge due to their live performances. We weren’t planning on staying long so we decided to go to a dive bar. We stumbled upon Hummingbird Saloon on our way back to the car. Hummingbird Saloon offers strong drinks for cheap. I ordered an old fashioned and I think I paid $4 for it. After one round, we headed home for a few hours of shut eyes.